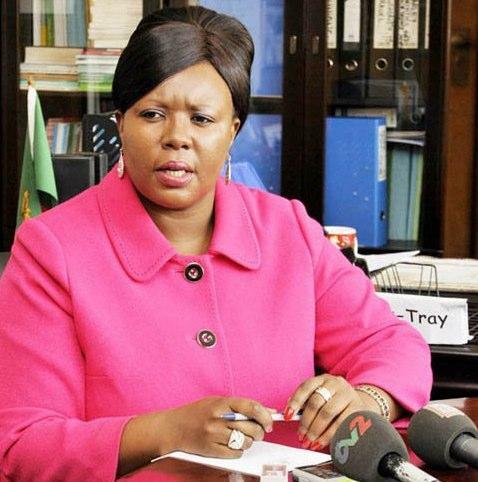 The case in which former Transport and Communication Minister Dora Siliya is charged with abuse of office has taken a new twist with key prosecution witness telling the Lusaka Magistrate Court that Ms Siliya was not the Minister of Communication when the process to acquire a new Radar for the then Lusaka International Airport commenced. Mr Robinson Misitala who is also National Airports Corporation Limited Managing Director told Chief Resident Magistrate Joshua Banda that it was Minister Sarah Saifwanda who presided over the first meetings and the Permanent Secretary was Lilian Mukuka Zimba and not Dominic Sichinga who is now a Lusaka High Court Judge. In cross examination led by Lubinda Linyama of Eric Silwamba and Company, Mr.Misitala who seemed very uneasy told the court that Miss Siliya was also not at the ministry when money is alleged to have changed hands between Selex officials and some government officials. He told the court that Selex officials continued working on the radar even after Ms Siliya had left the Ministry. Mr. Misitala who was at pains to answer a barage of questions from Linyama said Ms Siliya did not stop the operations of radar but directed that Selex be given an opportunity to repair the radar it supplied 20 years ago provided the repairs were free of charge. He further told the court that it was by then Acting Director of Civil Aviation David Mzeka who wrote to National Airports Corporation Limited to allow Selex to commence works and not Ms Siliya. Mr. Misitala further told the court that even when Selex came with quotations of about Euro 650 thousand for supply of some equipment and demanded 50 percent down payment, Ms Siliya had already left the Ministry of Communication and Transport. He told the court that it was Mr. Dominic Sichinga at that time Permanent Secretary and now Lusaka High Court Judge who made the payments after Ms. Siliya had left the ministry. When asked by Linyama whether Government was obliged to pay Selex for some equipment when Siliya had instructed that it should be free, Mr. Misitala said government was not obliged to pay. When reminded that no one pays for a quotation, Misitala said he was not sure whether the money was paid or not. And asked whether government allocated any money for the acquisition of the radar in the estimates of expenditure of 2008, Misitala answered in the negative. He also agreed with Linyama that the quotation Selex of Italy took to the Ministry was for items that were not listed in the repair for free offer. Mr. Misitala also agreed that some of the equipment supplied by Selex is currently operational at the now Kenneth Kaunda International Airport. The National Airports Corporation Limited boss also contradicted himself when earlier he told the court that the airport was safe and later during re-examination by one of the State Prosecutors said the Airport was not safe. Trial resumes on Thursday November 1,2012.